The U.S. men's national team has had little trouble implementing Gregg Berhalter's possession-based approach in three friendly wins, but Chile should provide more resistance in that area–which is just the kind of challenge the Americans could use. 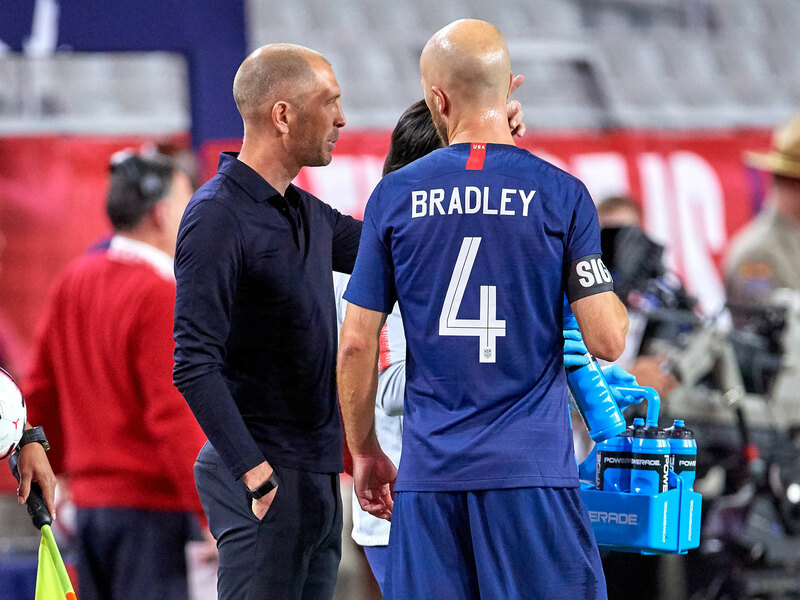 In three matches under Gregg Berhalter, the U.S. men's national team has outscored its opponents 6-0 all while adapting to the manager's desired style of play. His possession-based approach has worked to a decent degree, with the U.S. averaging 62.2% of possession in the three victories (65.8% vs. Panama, 58.5% vs. Costa Rica, 62.3% vs. Ecuador). That's a decent barometer for how the U.S. should be able to operate against the bulk of the opponents it will face in the near future. With high-profile friendlies largely going by the wayside and Nations League matches set to take their place beginning in the fall (the draw for the first Concacaf edition is Wednesday), the challenging tests in friendly atmospheres won't be as plentiful, which makes Tuesday's matchup vs. Chile all the more valuable of an experience. Chile in some ways is in the same boat as the U.S. Granted, it's won the last two Copa America titles, including the Centenario on U.S. soil, and has a veteran core of players more decorated than its U.S. counterpart. But Chile also missed the 2018 World Cup, and under manager Reinaldo Rueda, it's also a team in a bit of a transition period. There are hangers-on from its past successes, with Arturo Vidal, Gary Medel, Mauricio Isla, Charles Aranguiz, Gonzalo Jara all set to take part in Houston following a 3-1 loss to Mexico in San Diego Friday night. Save for Aranguiz (68), the others all have over 100 caps to their names. Lesser-experienced players are looking to prove their long-term worth, too, with 17 of the 24 called into camp having fewer than 20 caps. At its core, though, Chile is a team that should press the U.S. more than any of its previous three docile opponents have and force the issue as opposed to sitting back and looking to counter. La Roja held 58% of the ball vs. Mexico in a losing effort, for instance. With no more matches until the pre-Gold Cup camp, this will be the last chance Berhalter has to see his team in any semblance of a competitive atmosphere, and if Chile acquiesces, it could be just the test his side needs to decipher what's been real and what may be a bit of fool's gold after a few months in charge. "Very good team, we know that," veteran U.S. midfielder Michael Bradley said of Chile during training in Houston. "A lot of good players, a group of players that have been together for a long time, have had a lot of success together. A team that will be aggressive, a team that's going to press us, and we're excited. It's going to be a good game." Berhalter has promised numerous lineup changes from the squad that saw the field vs. Ecuador. He's already confirmed that Ethan Horvath will start in goal. Tyler Adams has returned to RB Leipzig, and the injured Weston McKennie (ankle) has returned to Schalke, so that will require at least two more changes. Given Nick Lima's role in January camp in the versatile right back spot vacated by Adams and Cristian Roldan's role in the same camp in McKennie's place in central midfield, they're two prime candidates to see extended time in important positions that require discipline and match awareness. "We know that theyre going to be a really good team, come out and press us hard," said U.S. forward Jordan Morris, who started on the right wing vs. Ecuador in his return to the national team after a lengthy injury-induced absence. "So we have to come together and keep progressing. The coaching staff has done such a good job of getting everyone on the same page and getting us ready for these games. "(Chile is) a very high-pressing team. They work really hard collectively, and I think they're going to present a really good challenge for us." Regardless of who winds up getting a call, there's going to be a different degree of difficulty on the BBVA Compass Stadium field–something that should be a welcomed challenge before the first competitive matches of the Berhalter era. The process to this point appears to have been a successful venture, but simultaneously working more players into the fold while adapting to a new set of tactics is all part of the growth that the new manager has in store. "The ideas are there," U.S. winger Paul Arriola said. "Obviously there's a little bit of a difference from January camp to this camp, because there's not as much time. Some of the European players are coming in and they don't have the time that we did in January camp to understand all the concepts, and that's normal, and I think we're all adjusting to that. I think Chile is a completely different team than Ecuador. They're very aggressive, obviously. ... We're all very excited about facing a team like Chile and what we can do to hurt them and win the game."